A cycle of eleven episodes told in Story Theater form, a narrator speaking and life-sized puppets performing simultaneously, The Greek Myths tells the story of Greek mythology from the first moments of creation through its version of the story of the flood, the reign of Zeus, and the trials, tribulations and joys during Zeus's long and continuing reign. It brings to life some of the most memorable episodes and characters in that saga: the Titans, the Cyclops, Zeus himself, Echo and Narcissus, Cupid and Psyche, Theseus, Orpheus and Euridice, and many, many more. This version of the stories by playwright Leon Katz is based on the Roman poet Ovid's epic poem Metamorphoses, the most popular and witty retelling of the tales in Western literature. The Greek Myths has an impressive track record. It ran for ten years in the Vagabond Puppet Company's production and during that time, toured throughout the US. Its appeal has been strong with both young audiences and adults alike and was seen by thousands of theatregoers. 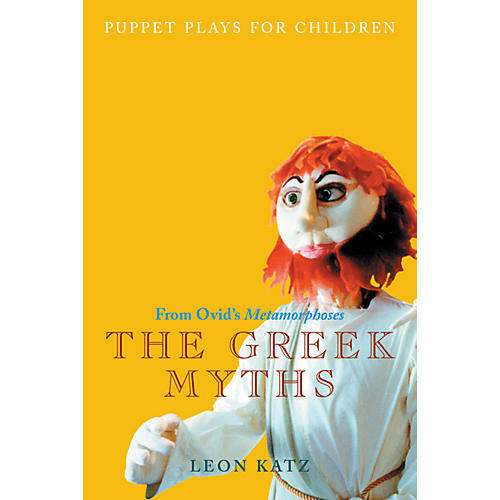 Lois Bohovesky, artistic director of the Vagabond Puppet Company, explains,For life-sized puppets performing Greek myths for children, the script had to be exciting, humorous and certainly accurate, the language crystal clear, and the poetry flowing naturally as speech ... We all know people like these gods - Zeus, for instance, the consummate politician. The play is full of humor, and the characters so well written that the actor's job is an easy one.